Built on your land, or ours! Click the button below to view our extensive selection of homes and land. Bedford, New Boston, Londonderry, Derry, Manchester, Windham and MORE. 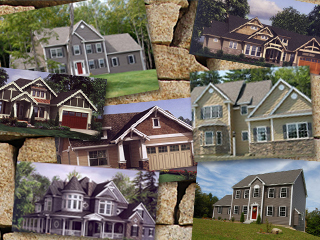 Welcome to Douglas Hill Companies LLC – Quality NH Home Builders. 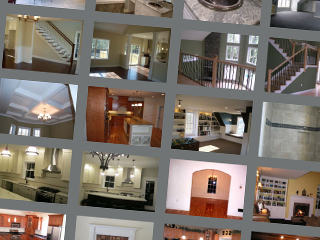 If you are searching for NH Home builders then you’ve found the right place! In over 20 years of building residential housing, Douglas Hill Companies LLC has built a reputation of quality and provides a unique approach to the entire NH home building process. No matter what style of home you’re dreaming about, we truly help you give your home that special something that makes it your own. We are into making your home a place that when you get home you feel like you’ve arrived! Read More. Click Here to View Our Homes and Land. We’ll Build on Your Land! Douglas Hill Companies LLC wants to be your NH Home builders! Whether we build a home for you on one of our lots or on a lot that you already own or are purchasing, give us a call. 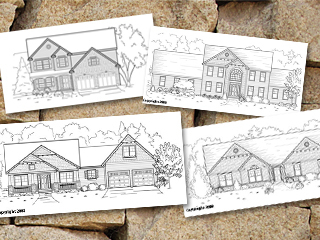 We have numerous house plans to choose from or would be happy to help you design the New Hampshire home of your dreams. We have award-winning draftsmen to find that perfect house plan and we have the craftsmen and suppliers to make a painless and seamless construction build-out happen….On time and on a budget! Don’t hesitate to call or email us to discuss building YOU a new home! Looking to Add To Your Existing Home? Not only the finest NH home builders available, but we’re always ready to get started on other home renovation projects as well! Douglas Hill Companies LLC is happy to discuss building your new addition, large renovation project, finished basement, and/or deck projects. Don’t hesitate to call for a free estimate! Douglas Hill Companies LLC want to be your NH home builders. We have numerous house plans to choose from or would be happy to help you design the home of your dreams. We offer an extensive list of custom homes that can be built on your land or ours. Our photo gallery offers a beautiful showcase of our high-quality craftsmanship as well as meticulous attention to detail. Douglas Hill Companies LLC wants to be your builder. Whether we build a home for you on one of our lots or on a lot that you already own or are purchasing, give us a call. We have numerous house plans to choose from or would be happy to help you design the home of your dreams.